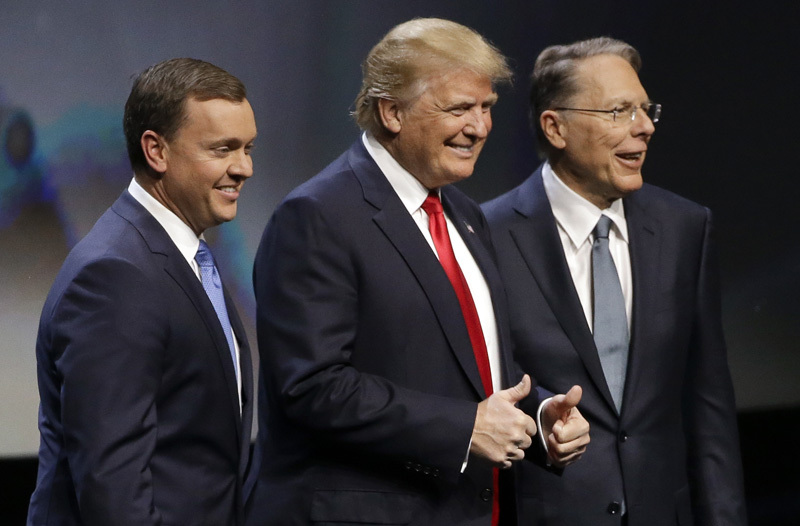 NRA Says Donald Trump's Pro-Gun Orlando Fantasy "Defies Common Sense"
On Friday, Donald Trump publicly imagined a scenario in which armed bar-goers stopped the Orlando shooter by firing back at him in the darkened club, successfully making a pro-gun argument too stupid for even the NRA to defend. Speaking to ABC on Sunday, however, chief NRA lobbyist Chris W. Cox suggested that such a thing would not have been a beautiful sight at all and actually sounded pretty dumb. NRA Claims FBI Failed to Stop Orlando Shooter Due to "Political Correctness"
On CBS’ Face the Nation, NRA CEO Wayne LaPierre made a similar comment, saying, “I don’t think you should have firearms where people are drinking.” Still, the organization managed to accept Trump’s comments by agreeing with them in the broadest sense possible.